Graphics research on Smoothed Particle Hydrodynamics (SPH) has produced fantastic visual results that are unique across the board of research communities concerned with SPH simulations. Generally, the SPH formalism serves as a spatial discretization technique, commonly used for the numerical simulation of continuum mechanical problems such as the simulation of fluids, highly viscous materials, and deformable solids. 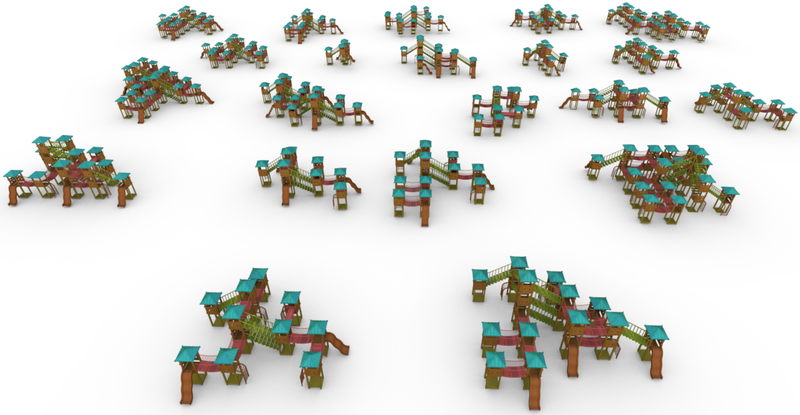 Recent advances in the field have made it possible to efficiently simulate massive scenes with highly complex boundary geometries on a single PC. 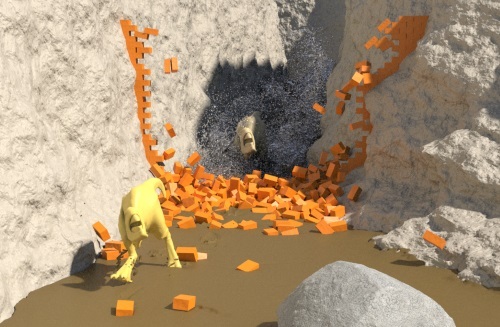 Moreover, novel techniques allow to robustly handle interactions among various materials. 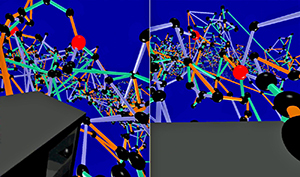 As of today, graphics-inspired pressure solvers, neighborhood search algorithms, boundary formulations, and other contributions often serve as core components in commercial software for animation purposes as well as in computer-aided engineering software. 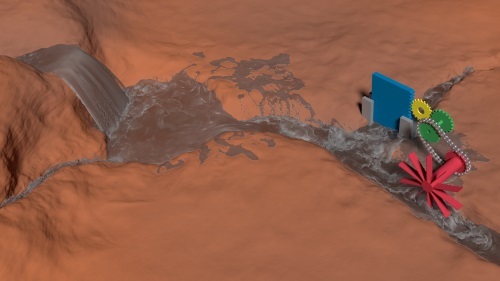 This tutorial covers various aspects of SPH simulations. Governing equations for mechanical phenomena and their SPH discretizations are discussed. Concepts and implementations of core components such as neighborhood search algorithms, pressure solvers, and boundary handling techniques are presented. Implementation hints for the realization of SPH solvers for fluids, elastic solids, and rigid bodies are given. The tutorial combines the introduction of theoretical concepts with the presentation of actual implementations. 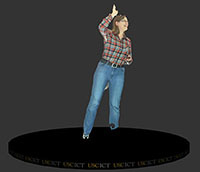 When designing the behavior of embodied, computer-controlled, human-like virtual agents (VA) serving as temporarily required assistants in virtual reality applications, two linked factors have to be considered: the time the VA is visible in the scene, defined as presence time (PT), and the time till the VA is actually available for support on a user’s calling, defined as approaching time (AT). Complementing a previous research on behaviors with a low VA’s PT, we present the results of a controlled within-subjects study investigating behaviors by which the VA is always visible, i.e., behaviors with a high PT. The two behaviors affecting the AT tested are: following, a design in which the VA is omnipresent and constantly follows the users, and busy, a design in which theVAis self-reliantly spending time nearby the users and approaches them only if explicitly asked for. The results indicate that subjects prefer the following VA, a behavior which also leads to slightly lower execution times compared to busy. Technological innovations have a growing relevance for charitable donations, as new technologies shape the way we perceive and approach digital media. In a between-subjects study with sixty-one volunteers, we investigated whether a higher degree of immersion for the potential donor can yield more donations for non-governmental organizations. 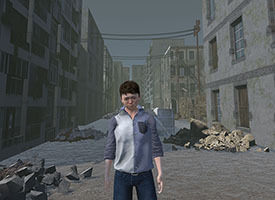 Therefore, we compared the donations given after experiencing a video-based, an augmented-reality-based, or a virtual-reality-based scenery with a virtual agent, representing a war victimized Syrian boy talking about his losses. Our initial results indicate that the immersion has no impact. However, the donor’s perceived innovativeness of the used technology might be an influencing factor. 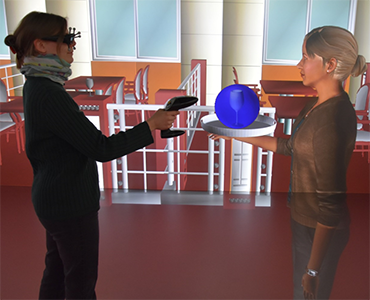 Volumetric video can be used in virtual and augmented reality applications to show detailed animated performances by human actors. 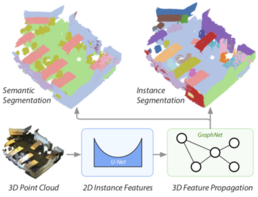 In this paper, we describe a volumetric capture system based on a photogrammetry cage with unsynchronized, low-cost cameras which is able to generate high-quality geometric data for animated avatars. This approach requires, inter alia, a subsequent synchronization of the captured videos. 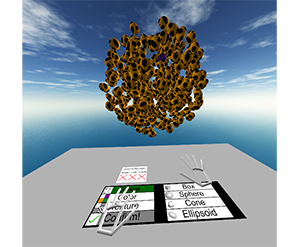 Many applications in the realm of social virtual reality require reasonable locomotion patterns for their embedded, intelligent virtual agents (VAs). 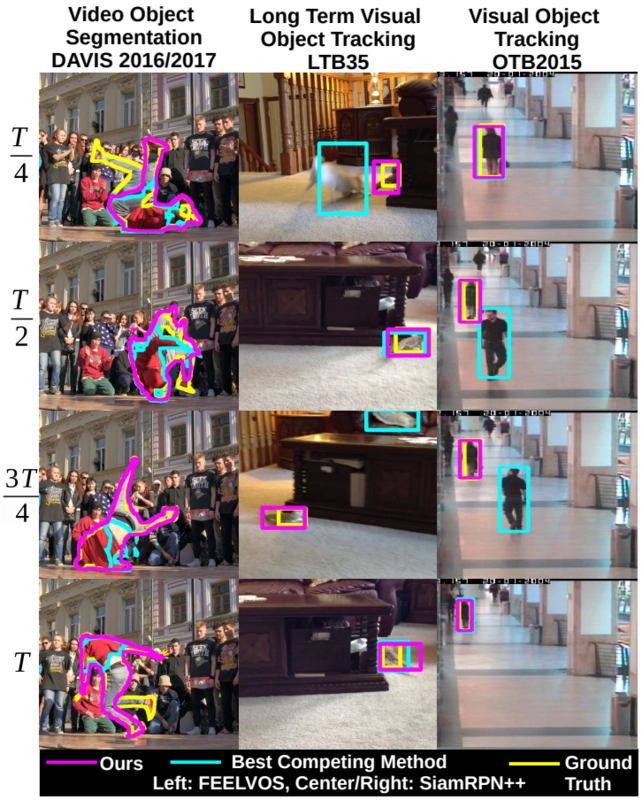 The two main research areas covered in the literature are pure inter-agent-dynamics for crowd simulations and user-agent-dynamics in, e.g., pedestrian scenarios. However, social locomotion, defined as a joint locomotion of a social group consisting of a human user and one to several VAs in the role of accompanying interaction partners, has not been carefully investigated yet. I intend to close this gap by contributing locomotion models for the social group’s VAs. Thereby, I plan to evaluate the effects of the VAs’ locomotion patterns on a user’s perceived degree of immersion, comfort, and social presence.